This book discusses numerical methods for computing eigenvalues and eigenvectors of large sparse matrices. It provides an in-depth view of the numerical methods that are applicable for solving matrix eigenvalue problems that arise in various engineering and scientific applications. Set linear algebras, introduced by the authors in this book, are the most generalized form of linear algebras. These structures make use of very few algebraic operations and are easily accessible to non-mathematicians as well. This book introduced a new algebraic structure called linear bialgebra. We have ventured in this book to introduce new concepts like linear bialgebra and Smarandache neutrosophic linear bialgebra and also give the applications of these structures. 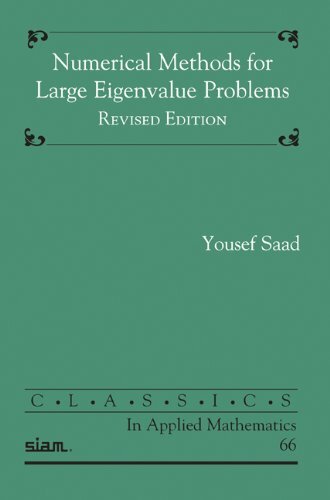 The book is a collection of solved problems in linear algebra. The second volume covers geometrical vectors, vector spaces and linear maps. All examples are solved, and the solutions usually consist of step-by-step instructions.